Key Search Words - 2000 : condenser, condenser for car, ac condenser unit, ac condenser car, condenser ac. Application Summary - 2000 : 03-99 Saab 9-3. This part generally fits Saab vehicles and includes models such as 9-3 with the trims of Arc Sedan 4-Door, Base Convertible 2-Door, Base Hatchback 2-Door, Base Hatchback 4-Door, Linear Sedan 4-Door, SE Convertible 2-Door, SE Hatchback 4-Door, Turbo Convertible 2-Door, Turbo Hatchback 4-Door, Vector Sedan 4-Door, Viggen Convertible 2-Door, Viggen Hatchback 2-Door, Viggen Hatchback 4-Door. Key Search Words - 2000 : condenser, condenser for car, ac condenser unit, ac condenser car, condenser ac. Application Summary - 2000 : 09-06 Saab 9-3. This part generally fits Saab vehicles and includes models such as 9-3 with the trims of Aero Convertible 2-Door, Aero Sedan 4-Door, Aero Sport Sedan 4-Door, Aero Wagon 4-Door, Aero XWD Sedan 4-Door, Aero XWD Wagon 4-Door, Turbo X Sedan 4-Door, Turbo X Wagon 4-Door. Warranty Type:Manufacturer Warranty. Warranty Duration:Other. We at Phileocom understand that parts for automotive repair are a necessity item. When cars breakdown, car owners are left with little alternative than to fix them up again. Warranty Duration:1 Year. Part Number: 7-4941. Warranty Duration:1 Year. Part Number: 7-3754. Interchange Part Number : 12793295, 2431298, SPT7-3635, 3635, SB3030108. 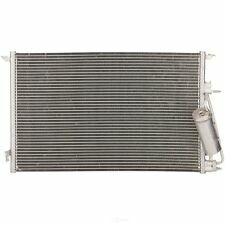 Key Search Words - 2000 : condenser, condenser for car, ac condenser unit, ac condenser car, condenser ac. Warranty Special UOM : TX. 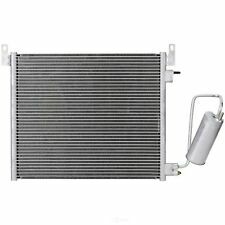 Key Search Words - 2000 : condenser, condenser for car, ac condenser unit, ac condenser car, condenser ac. Other Part Number : 300053, 3786, 12793295, CN 3635PF, 3388, 73388. Warranty Special UOM : TX. We feel our pricing is rock bottom and our products are of excellent quality. Also, don't hesitate to call if you need a quicker answer! Warranty Duration:1 Year. Part Number: 7-3388. We at PartsMonkey are proud Canadians and are proud to serve our fellow Canadians. Our goal is to provide you with any and all automotive products that may be required. Given our easy and convenient quote option, we make it possible to locate those hard to find products. 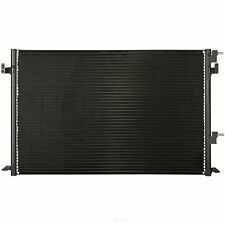 Spectra 7-4941 A/c CondenserSpectra 7-4941. Public Forums. Need to make a change?. Disclosure of Information Policy. Your credit card information is encrypted while traveling the Internet. For their protection, we ask that children do not submit information to us without the consent of a parent or guardian. Spectra 7-3635 CondenserSpectra 7-3635. Public Forums. Need to make a change?. Disclosure of Information Policy. Your credit card information is encrypted while traveling the Internet. For their protection, we ask that children do not submit information to us without the consent of a parent or guardian. Warranty Duration:Other. Part Number: 7-4941. Warranty Duration:Other. Part Number: 7-3635. Warranty Duration:Other. Part Number: 7-3388. Key Search Words - 2000 : condenser, condenser for car, ac condenser unit, ac condenser car, condenser ac. Other Part Number : 300053, 3786, 12793295, CN 3635PF, 3388, 73388. Premier Auto Part has been in the auto parts industry for 45 years and is just now taking our parts expertise and knowledge to the web. Warranty Duration:1 Year. Part Number: 7-3635. 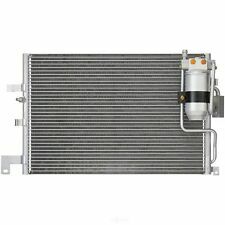 Key Search Words - 2000 : condenser, condenser for car, ac condenser unit, ac condenser car, condenser ac. Other Part Number : 300053, 3786, 12793295, CN 3635PF, 3388, 73388. Warranty Distance UOM : MI.